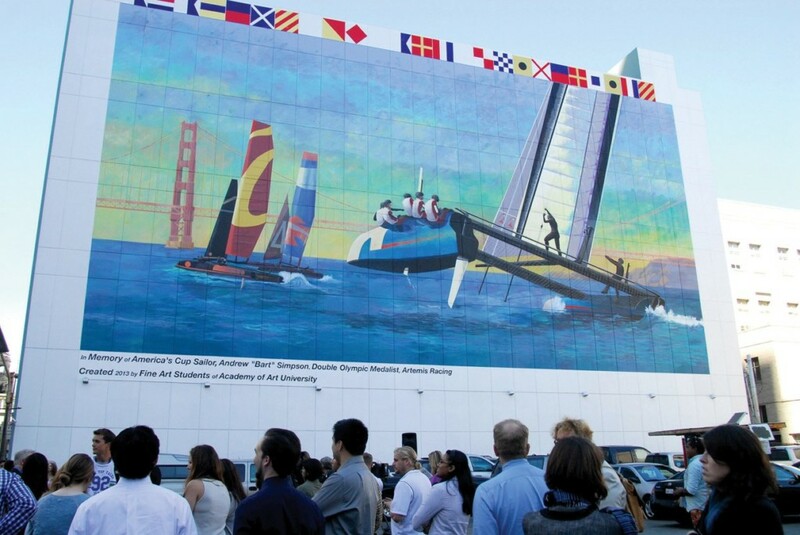 Academy of Art University is committed to giving back to the people and communities of San Francisco. 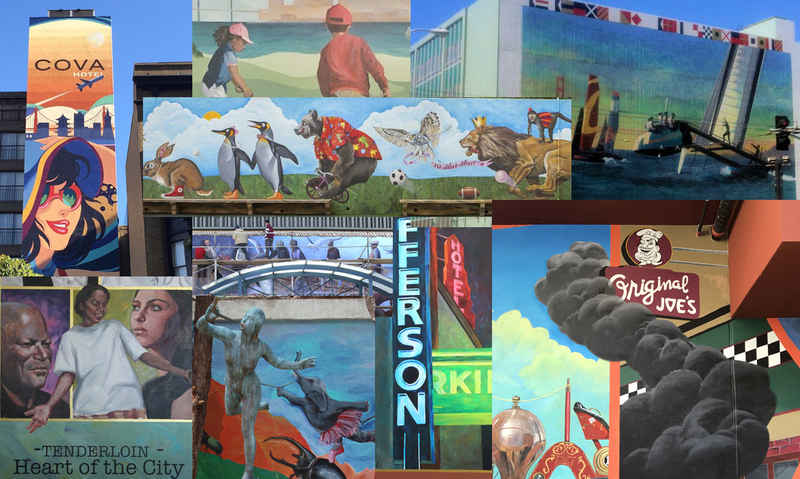 Among our contributions to the city are many vivid murals, created by students and alumni for all to enjoy. 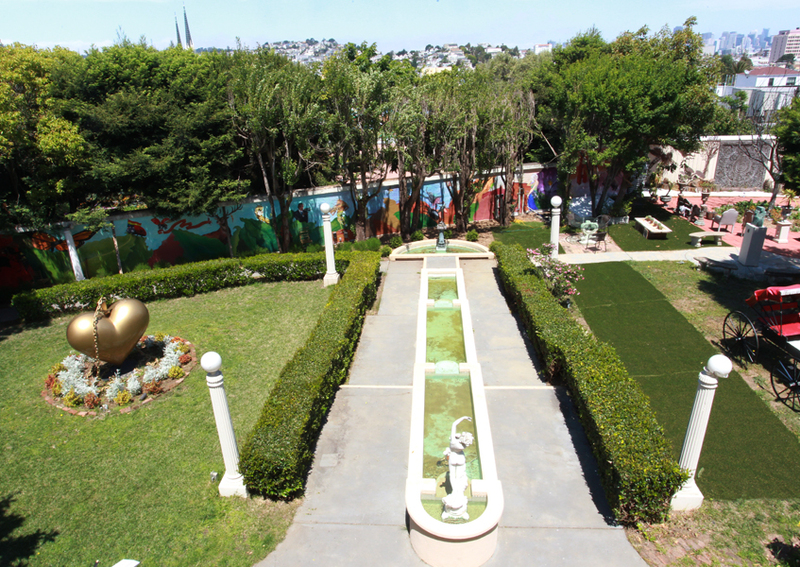 “The murals tell the story of the neighborhood,” noted former San Francisco mayor Willie Brown in an Academy interview. 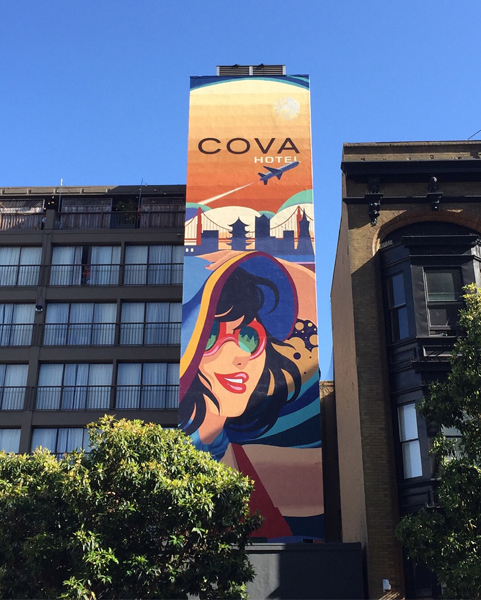 So let’s take a look at 11 of these amazing murals by our hard-working art school students! 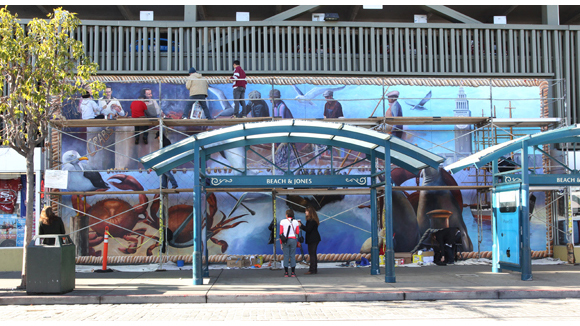 One notable mural decorates the mass transit F-Stop at Fisherman’s Wharf, one of the country’s biggest tourist hot spots. 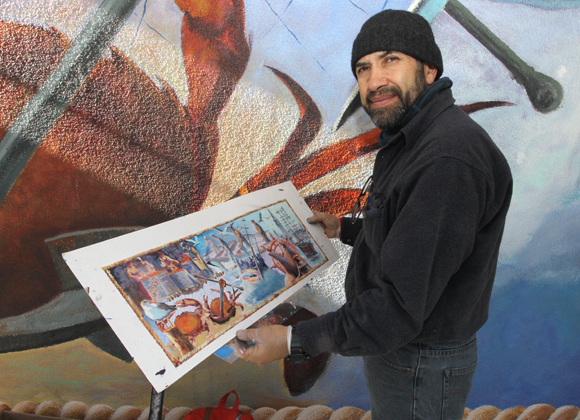 Designed by Academy student Leon Ruiz, the Maritime Mural portrays the history of the wharf. Students from the Schools of Fine Art and Illustration came together to plan and paint the project. 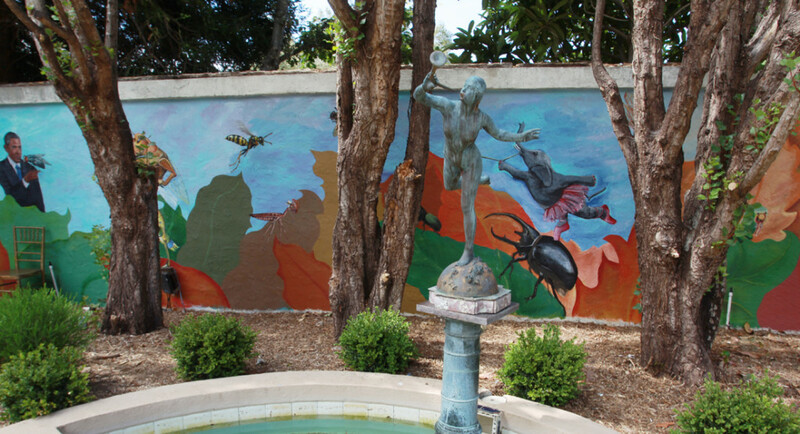 Three Academy students created the mural that covers the garden walls at Chenery House in Glen Park. Bob Pritikin, the collector-in-charge of the Pritikin Museum, guided the project from start to finish. As Pritikin’s ideas for the mural changed, the students also revised the final design. “All the knowledge we were taught in school really helps when planning a project,” said Pam Marano, crediting their art school education with teaching them the skills they needed. 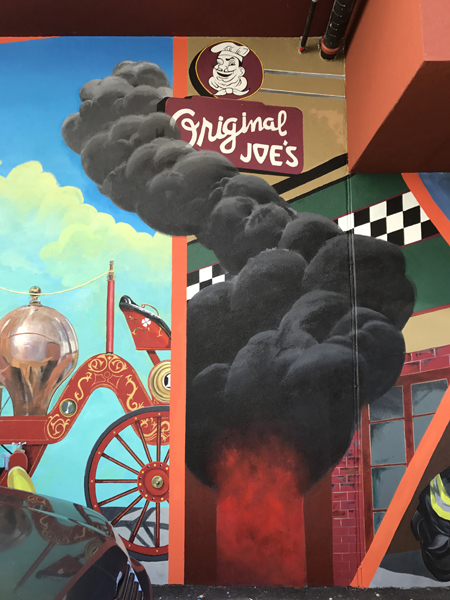 Students, alumni, and faculty developed the Alleycats mural in honor of the San Francisco Fire Department’s 150th anniversary. 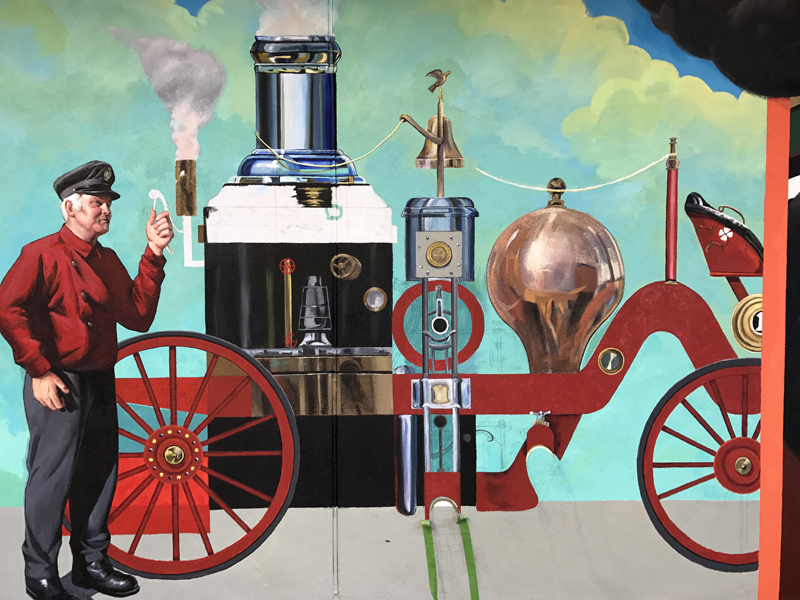 Displayed on the SFFD’s Firehouse #1, the mural celebrates the history of these dedicated first responders. 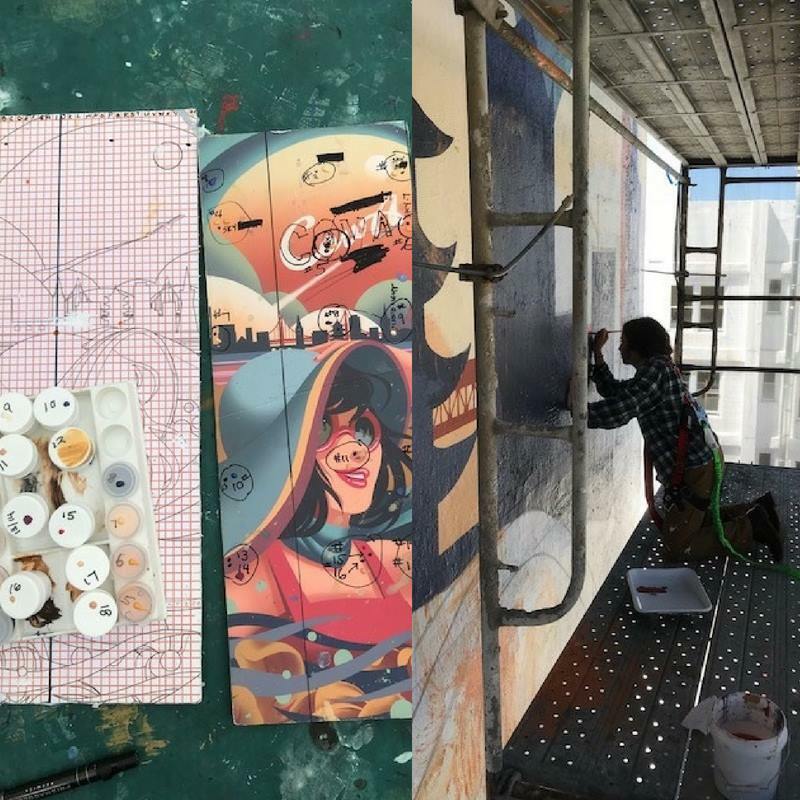 “With all the quality help, collaboration and inspired creativity between the firefighters and artists, this project surpassed all our goals,” stated project coordinator Carol Nunnelly. 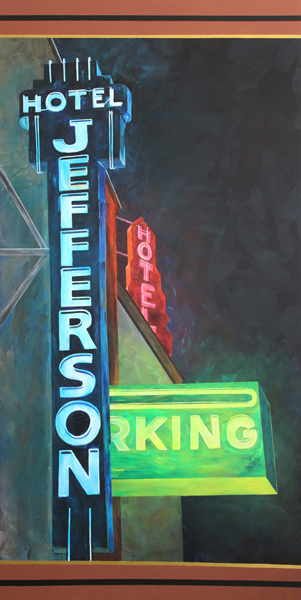 This series of 13 mural panels highlights key moments and figures in the historic Tenderloin. During the project, the student team spent over 1,200 hours researching and painting! 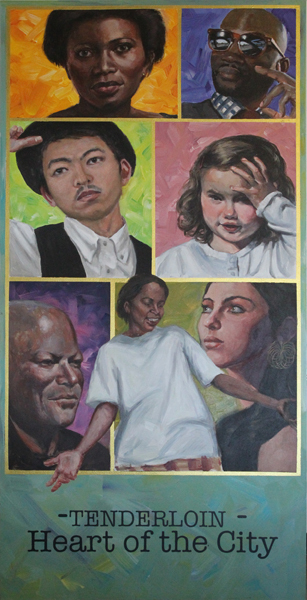 “Our goal was to explore the diversity of the subject but keep it cohesive,” Craig Nelson, Executive Director of the School of Fine Art, told Academy Art U News. Director of the School of Visual Development Nicolás Villarreal rolled up his sleeves to paint a bright and colorful mural of Frida Kahlo. The first in a series about key cultural icons, the #POPUPICON now lives on the wall of the Cannery Building. 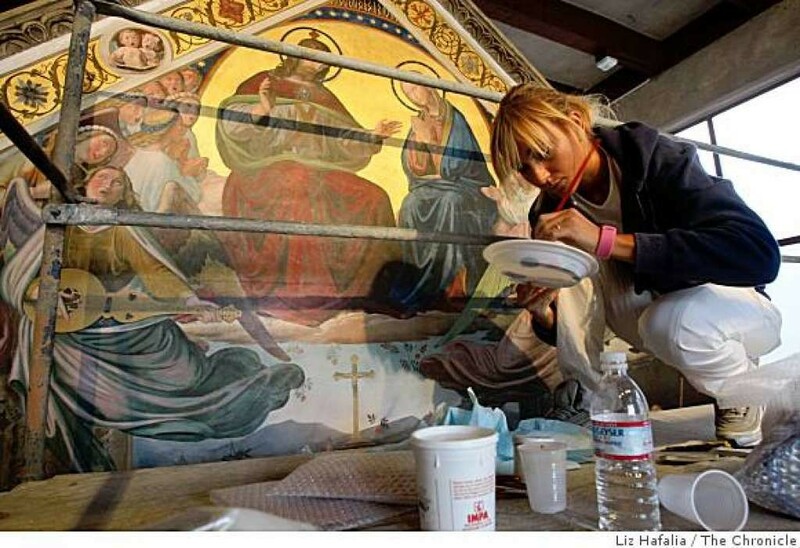 Led by professional muralist Angela Tirrell, Academy grad students painted the Porziuncola Nuova mural in a medieval art style. 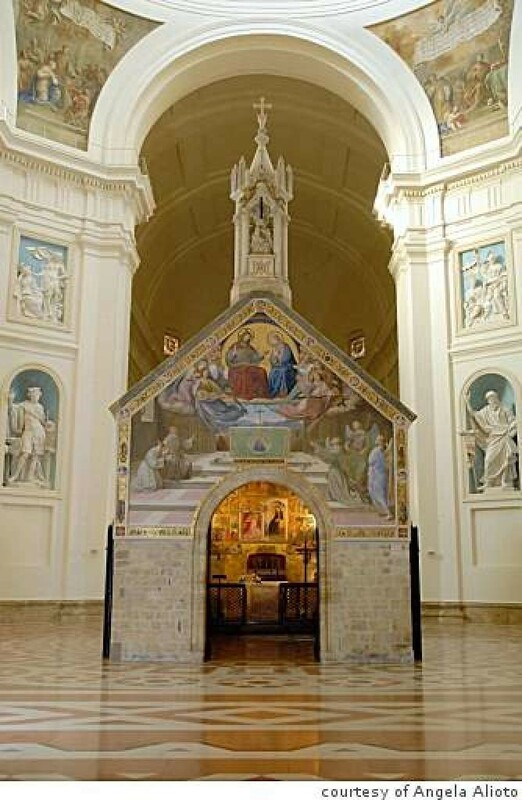 Located at the National Shrine of St. Francis of Assisi, their work honors the life of St. Francis. “With their willing, intelligent presence, the student team quickly mastered the complexity of the project,” Tirrell praised in an SFLUXE interview. 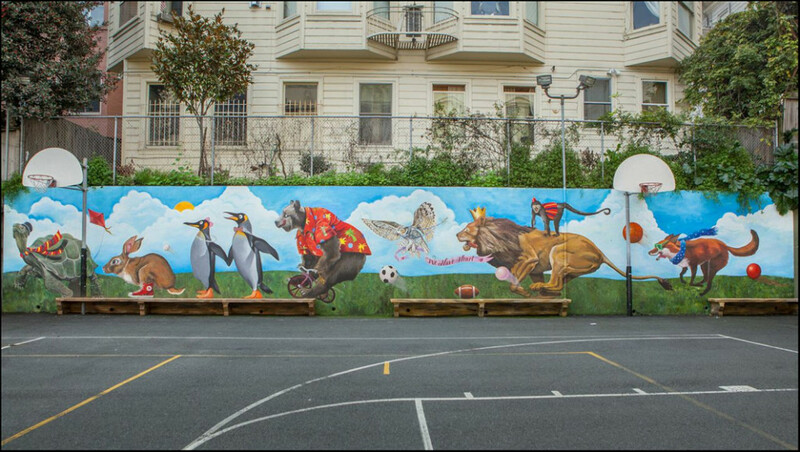 Our art school students designed this mural as part of an ongoing renewal effort in San Francisco’s Lower Pacific Heights neighborhood. 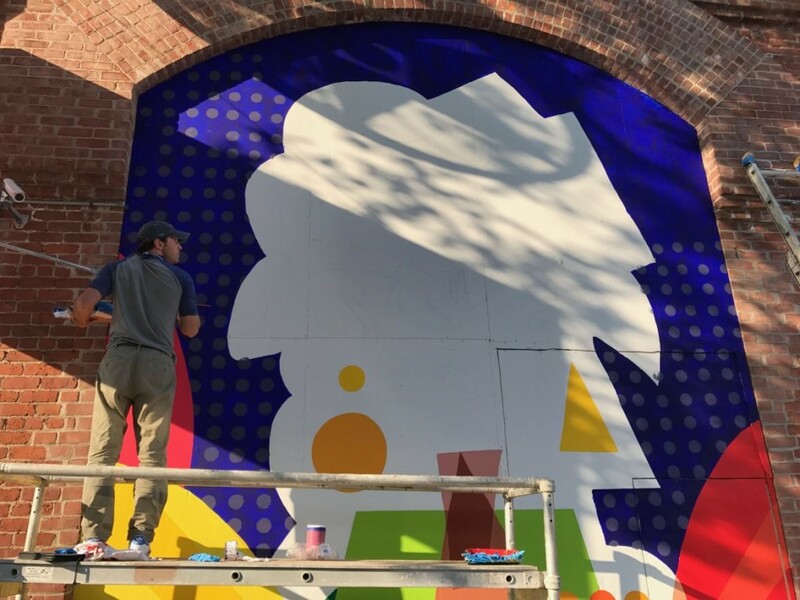 Once complete, the mural will brighten up the affordable Samesun Hostel and help create a more vibrant atmosphere. 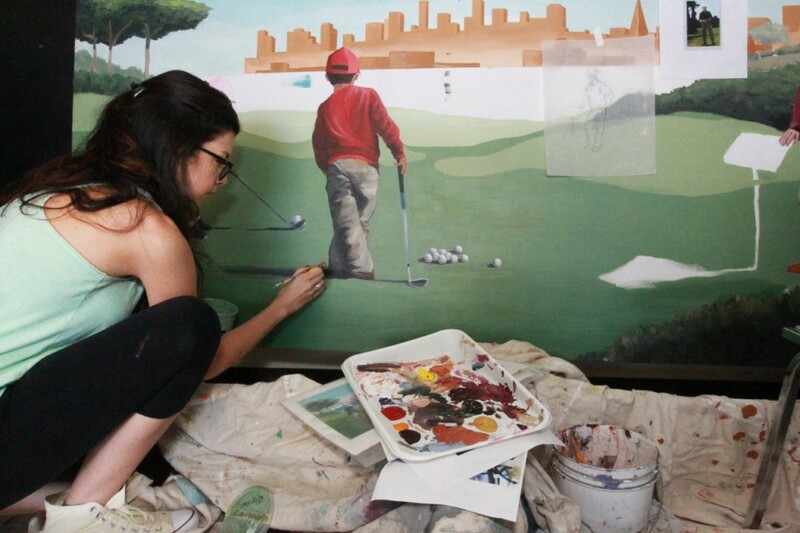 As these artists discovered, pursuing an art school education can result in more than an art degree: it can be a gift to the communities around you as well. Congratulations to all on their fantastic work, and well done!